A new standard of precision optics, highly engineered mechanics and very rugged construction, all at little more cost than a budget microscope. Objective turret (nosepiece) is in reverse position to permit easier changing and positioning of specimen slides. Preferred by teachers, the 5-watt fluorescent illumination system provides optimum image brightness, virtually no bulb heat and bulb is rated for 10,000 hours life. 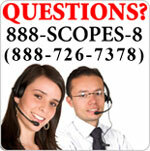 Item F-01005 is a Monocular microscope that has 3 objectives for 40X, 100X, 400X magnification. 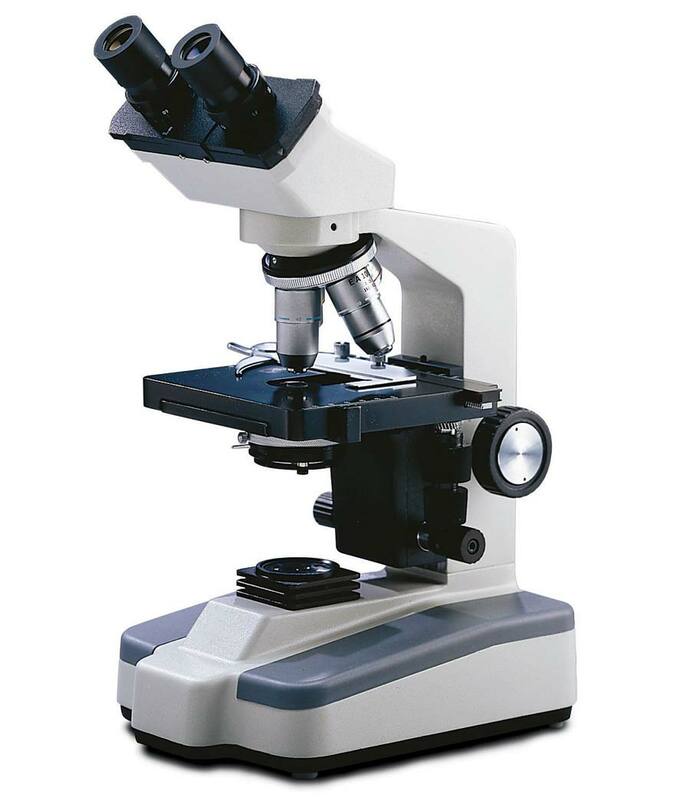 Item F-01000 is a Monocular microscope that has 4 objectives for 40X, 100X, 400X, 1000X magnification. 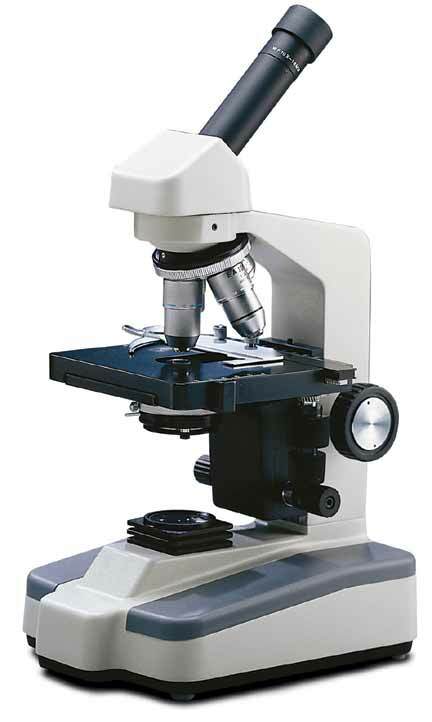 Item F-01100 is a Binocular microscope that has 4 objectives for 40X, 100X, 400X, 1000X magnification. Focusing: Rack & pinion coarse focus, with slip clutch to protect focus mechanism, and separate fine focus. Tension adjustment eliminates focus drift. Safety rack-stop prevents damage to specimen slides and lenses. Optional Microscope Carrying Case available (picture). Anodized aluminum with fabric lining, accessory pockets, Velcro straps, keyed lock. Interior dimensions are 17-1/4 x 8 x 11-3/4 inches.